There was a time when every shampoo was organic. There weren’t any man-made chemicals as they weren’t invented back then. The ones who are conscious of their well-being wants to continue using natural products. Luckily, we can find a lot of quality organic shampoos which are sold online. There are so many hair problems people face, such as- oiliness, dandruff, and dryness. This review will introduce the best organic shampoos which are good for treating all those hair problems. You will be able to clean your hair without using sulfates, parabens, and preservatives and still the hair will shine brightly and become soft. Now, to find out which one of the best organic shampoos will suit you well, let’s review some of them available in the market. Every shampoo doesn’t go with every hair type. We will start introducing organic shampoos which are gentle to all hair type and suitable for everyday use. Different people use shampoo differently. Some like to skip two or three days after using once when some like to use daily. The mild shampoos will be ideal for that. There is another gentle shampoo which can be used daily named Nurture My Body’s Organic Everyday Shampoo. The formula of this shampoo is suitable for everyday use which doesn’t include any parabens, petroleum-derived products, or sodium lauryl sulfate. The Environment Working Group (EWG) rated this shampoo zero as it doesn’t include any toxic elements. The plastic bottle that is used to store the product is BPA-free and recyclable as well. The Everyday Shampoo has eighteen certified organic elements such as – purified water, seaweed extract, and chickweed which help hair to grow. It also includes coltsfoot which helps hair to be shiny and elastic. The formula also includes other herbs to nourish the scalp. Nurture Your Body is giving you the biggest opportunity for a 100% money-back guarantee so that you can try it on and see if it suits your taste. If you think it’s not for your hair, then you will get your money back. Anhesti’s Puriti Uplifting Shampoo is developed in order to clean normal, fine, and color-treated hair which will protect hair from being too dry or flyaway. The formula of this shampoo is water-based which is free from parabens, sulfates, or products that are derived from animals. The product is not even tested on animals. The users if Puriti shampoo mentioned that they love the scent. It transfers into foam easily and washes off very easily. Some of the users don’t use shampoo every day to wash their hair, but they said their hair remained good looking for up to three days. You shouldn’t use more chemicals when your hair is dry or damaged. We recommend you to try these organic shampoos which will surely help your hair to heal and bring life to them. If you want to have the natural curls back or have a problem with frizzy hair then these will suit you well. Tru Moroccan is developed based on Argan oil which is used as the main ingredient for the formula of the shampoo. Argan oil is very popular when it comes to the skin and hair care products and for other purposes as well. It works amazingly for moisturizing dry hair, smoothing and healing damages. The Motoccan Shampoo is free from sulfates or parabens and also this product is not applied to animals in order to test. Besides Argan oil, it also includes many other helpful elements such as aloe, vegetable glycerine, Panthenol (vitamin B5), Willow Bark Extract, Chamomile, Red The Moroccan oil shampoo Clover, and Elder Flower. The formula is very gentle so you can use it for daily washing. For better result, Tru Moroccan suggests you to use their conditioner as well. The main ingredient of the DermOrganic’s Daily Conditioning Shampoo is also Moroccan Argan Oil which helps to reduce dryness and treat frizzy hair and help to smooth it. It is explained that Argan oil includes omega-6 fatty acids, vitamin E, and antioxidants to protect the hair from the damages caused by sun, heat and wind. Argan oil smoothens hair and gives a shiny effect. If you lead a busy life, this shampoo will help you to save time as well. It works both as a shampoo and as a conditioner. In other word, this is an all-in-one product which can even be applied twice a day. It can be considered as an ideal product for the people who take shower frequently because of their preference, work or other circumstances. The DermOrganic Daily Conditioning Shampoo has so many helpful ingredients on it. Besides Argan oil, it also includes Panthenol(Vitamin B5), grape seed extract, rice amino acids, and sunflower oil. You can get even better result by using it with DermOrganic’s conditioner and hair masque. If you are looking for a color-safe shampoo, then you should consider Sweet Spot Naturals. It can be used for daily wash as well as it doesn’t fade out the dye. The formula is very safe as it does not contain any parabens, sulfates, fragrances, alcohols, or artificial colors. There won’t be much foam as it doesn’t include any sulfates but it will still wash your hair properly and give it a healthy shine. The ingredients that are used in this shampoo and conditioner set are all natural. Those are aloe vera, Manuka honey, coconut oil extract, and Australian Cehami. They are well known for their healing abilities. Sweet spot highly suggests you use the conditioner after using the shampoo. You need to leave the conditioner for up to three minutes or for the rest of the day. Sweet Spot shampoo and conditioner have a very soft fruity fregment from orange peel oil. After using once, you will notice this product gives a silky soft shine which comes from the orange peel oil. Sweet Spot is giving you the opportunity of having a full refund if you are not satisfied with the result. Almost everyone can have dandruff no matter how much clean the hair is kept. There are several reasons behind it. If you are struggling with dandruff as well then we will introduce you some shampoos which are made to control it. Maple Holistics Sage Shampoo reduces dandruff as it includes Argan, Tea tree, and jojoba oils. It restricts all the factors that cause dandruff. Those oils help to moisturize the scalp and hair. The formula includes tea tree which reduces dead cells. The rosemary helps to stimulate the skin to stabilize the blood circulation. This shampoo does not include any phthalates, parabens or sulfates. It has a very delicious scent in it which extracts from the herbal ingredients. Besides it does not only treat dandruff but also includes spikenard to help hair to hold on to its natural color as well. It also reduces hair loss and frizz as it includes botanical keratin. The main ingredients of Art Naturals Scalp18 Dandruff Shampoo are Argan Oil and Coal Tar. Though coal tar does not seem like a thing that can be put on hair but it is actually a traditional treatment to fight dandruff. Coal tar is basically a keratolytic drug which helps to slow down the growth of the cells and also helps to get rid of dead skin cells. It is very helpful to reduce itching and dandruff as well as psoriasis and dermatitis. If you desire better result, you need to massage the shampoo in hair and let it set for five minutes and then rinse it. There are also other ingredients such as jojoba, Rosemary, Basil and lemon oil in Scalp18 which helps to moisturize the hair and give it a shiny effect. The formula of Scalp18 shampoo does not include any parabens and it is purely vegan. If you think you are unable to use coal tar on your hair or have allergic issues, then you should try this Tea Tree Shampoo from Maple Holistics. It helps to eliminate dead skin cells and helps hair to grow and make shiny and soft. One of the good sides is Maple Holistics gives very detailed instructions about this shampoo and describes its features as well. It helps you to know that both Argan oil and jojoba are great for hair. Tea tree oil will help to eliminate all the dead skins and will give a delightful feeling while stimulating the circulation of blood. Rosemary will control the oiliness and lavender will work as an antiseptic which will heal the damages. This shampoo is very suitable for daily usage as it does not include any harsh detergent and other chemicals like sulfate and parabens. Oily hair can be very irritating and need to shower twice a day to control it. If you are tired of that process then you need to check out this shampoo discussed below. This is another product of Maple Holistics. This one will aid to get rid of the oiliness of the hair and scalp. It also provides Jojoba oil which is its primary element. Though it says to apply Jojoba which is a oil to your oily skin may look like it will make your hair more oily. But in reality, what happens is the opposite. Jojoba oil’s consistency is very much close to human skin oil which is why it does not make it oilier. If you are also suffering from dandruff that it is a perfect shampoo for you. It also includes Rosemary, Cypress, Lemon, and Basil which controls dandruff. It does not include chemicals like sulfates and parabens. There are so many factors like aging, illness etc which can lead to hair loss. If you feel the need of stimulating the growth of your hair, you should check out the shampoo given below. This shampoo formula contains both Argan oil and PURA D’OR’s DHT blocker formula. DHT is basically one of the reasons for hair loss. This shampoo controls DHT to reduce hair fall. For better result, PURA D’OR recommends you to use it at least three months daily. You don’t need to worry about hair type as it works well for every hair type. It doesn’t have any sulfates or parabens so you can use it every day. There are other plant-based elements in the shampoo such as coconut derivatives, tea tree oil, elderberry etc. There are many people who love their shampoos in solid form as it’s easier to carry and also good for environment. J.R. Liggett’s Old-Fashioned Shampoo Bar contains three flavored bars which will give your hair a good wash. The three bars provide coconut and Argan oil, Tea Tree and Hemp oil and Jojoba and Peppermint. The people who used it say it makes hair silky and soft. If you keep your bars in dry place, it will last longer. Aloe vera- heals and hydrates the hair. Coconut oil- gives a shine and hydrates hair. Tea tree oil- reduces dead skin cells, stimulates growth. Rosemary- gets rid of dead skins. Lavender- works as antiseptic and calms skin. Sulfates are very harmful to human scalp and eyes as well. It may provide lots of foam on shampoo but it harms the scalp. That is why organic shampoo producers avoid this ingredient. 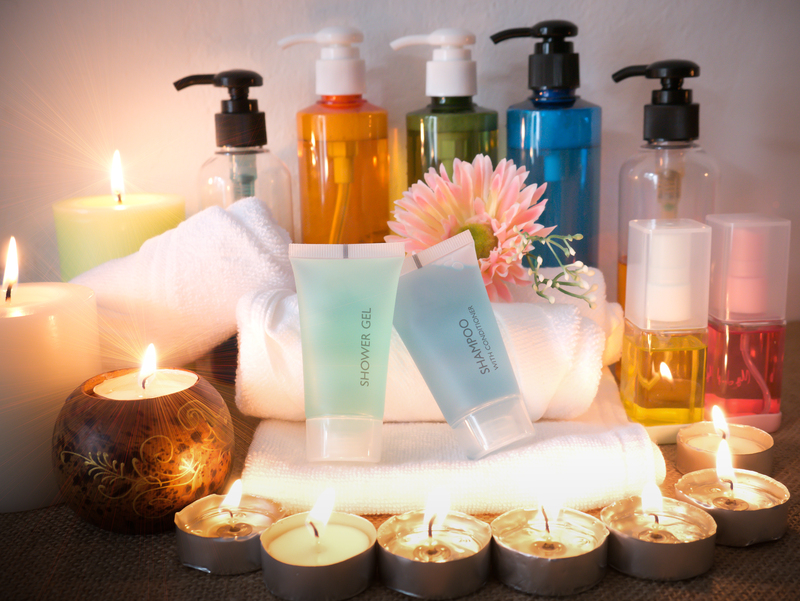 Parabens are very harmful to human as it acts like estrogen in the human body. If it is used in a very big amount it can cause breast cancer and also can cause problems in reproduction. There are many places in the world which ban the use of this product in cosmetics and baby products. So organic shampoo makers do not use it in shampoo. There are so many alcohols in the world but some of them are harmful to the skin. It drys out the hair so organic shampoos do not contain any alcohol. Synthetic perfumes and colors The natural smell and colors of the organic shampoos are really refreshing so there is no need for using any perfume or color on it. It is best to avoid all the chemicals. Formaldehyde can cause hair loss. It is for the best to avoid this product on organic shampoos. Organic shampoos are not baby shampoos. It will hurt your eyes if you get shampoo in your eyes like any other shampoos in the market. There won’t be much lather as there are no chemicals added to make it foamy. But surely it will clean your hair well. The organic shampoos do not contain any preservative chemicals so it will be wasted after the expiring date. Organic shampoos take time to work. At first, it may not look like its working but the results will show up later. Apple Cider vinegar can reduce out chemicals and dead skin. To reduce excess oil, use jojoba oil. To remove split ends, get a haircut. Use comb which goes well with your hair. Using organic conditioner once a week. These products will make you fall for organic shampoos and you will proudly recommend them to your friends and family.